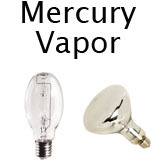 Mercury Vapor lamps are used in outdoor applications and have a greenish color to the light. You will find these bulbs in older style pole lighting and landscape lighting. High Intensity Discharge bulbs that have a crisp white light. 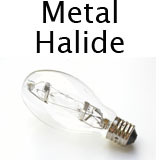 These bulbs are used in outdoor and indoor applications where color rendition is important. 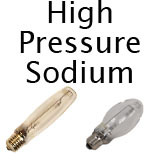 High Pressure Sodium Bulbs are most often used for roadway lighting. They are the lights that are yellow/amber color. Although they are very efficient light sources, They have bad color rendition. 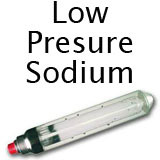 Low Pressure Sodium lamps have very limited uses. There are only a few types available and these are used primarily in tunnels and places where color rendition is not important. It has a very yellow light.